Please call us to be placed on a waitlist if a class is Out of Stock or if you need to register with a Class Credit or Gift Card (206) 524 0916. 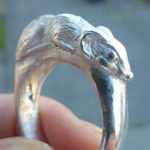 The ancient technique of lost wax casting is widely used today for mass producing jewelry and jewelry components but it is also used to create unique one-of-a-kind jewelry pieces. In this comprehensive workshop, you will learn the fundamentals and some useful tricks for designing and creating wax models for casting. Students will be introduced to the casting process and explore a variety wax types and techniques in order understand how to prepare ideal waxes for casting. Projects will include pendants, rings, and charms. The finished waxes will be sent out to a professional casting house and returned the final week for finishing. *Students enrolled in multiple week classes are eligible and encouraged to work outside of class on class projects during Practice Hours. No experience necessary; returning students are welcome. 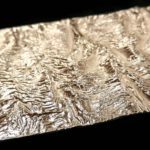 Discover the limitless potential of Precious Metal Clay; a marvelous material that is worked just like clay yet when fired results in finished, pure silver, jewelry. 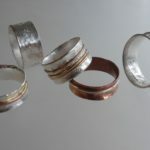 In this comprehensive weekend workshop students will have the opportunity to construct and fire multiple pieces of their own design and explore a full range of technical projects including rings and stone setting. Students will not only get a taste of this seemingly magical material but will build the confidence necessary to work independently and master it. Just imagine the possibilities! No experience necessary, returning students welcome. Material Kit Fee: $65 payable to instructor cash or check. 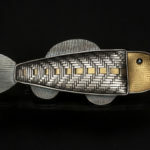 Have you been curious about enameling, the timeless and vibrant beauty of colored glass and metal? Get a taste for it in this workshop spanning two weekday evenings. Students will work with a kiln for optimum control over their desired results and be introduced to proper application of opaque enamels onto flat and domed sheet metal by both sifting and wet-laying. 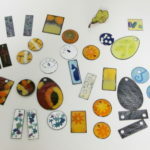 They will have the opportunity to experiment with stencils and sgraffito to create exciting patterns or designs and explore controlled firing or, alternatively, allow for the interaction of enamels and the kiln to surprise and delight. Finished pieces can be completed with simple findings or incorporated into your current metal work with settings construct afterward. No experience necessary. Setting faceted stones doesn’t have to be a daunting task. No…really! As long as you understand the unique characteristics of the gemstone you are working with, there is nothing to be intimidated by. This intermediate level stone-setting workshop will teach you how to set round faceted gemstones safely, securely and with confidence. Three settings will be covered in detail including prong, flush, and heavy-walled bezel setting. In addition, you will also learn the theory behind stone-setting, gemstone characteristics, how to make setting tools and how to design with beautiful gems in mind. Practice rings will be provided or you may choose to create your own piece of jewelry, incorporating the aforementioned setting styles. Beginning Series or equivalent experience required. Looking for a great activity for your 3rd – 6th grader this summer? 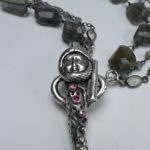 Check out the Danaca Design jewelry camp! 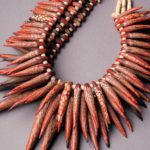 This week-long camp teaches cool jewelry-making techniques such as bead making and stringing, wire working, texturing, stamping, and riveting metal! In addition, we will explore the fundamentals of composition and color theory while learning to use a variety of basic hand tools. 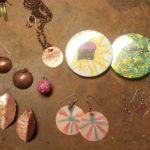 Using polymer clay, Shrinky Dinks, seed beads, and copper and brass wire and sheet metal, we will create a variety of jewelry pieces students can wear proudly. 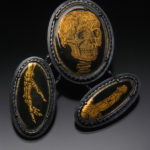 After all, nothing is quite as fun as saying, “I made this!” Rings and bracelets and brooches, oh my! Come have fun with us for a week in July! No experience necessary, returning students welcome. This class is taught by Tegan Wallace, who has been teaching jewelry making at the elementary and middle school level for several years. Looking for a great activity for your teen this summer? 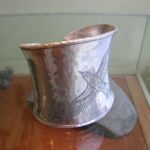 Check out the Danaca Design Jewelry & Metalsmithing Camp! 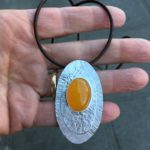 This week-long camp teaches fundamental jewelry-making and metalsmithing techniques such as sawing, forming, forging, stamping, riveting, and basic soldering while learning to use a variety of basic hand tools. In addition, we will explore the fundamentals of composition and color theory while exploring a variety of media including polymer clay and powder coat. 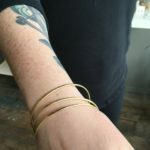 Using copper and brass wire and sheet metal, as well as a variety of other materials, we will create jewelry pieces students can wear proudly. 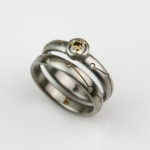 Projects include stacking rings, bangle bracelets, earrings and pendants. No experience necessary, returning students welcome. This class is taught by Tegan Wallace, who has been teaching jewelry making at the elementary and middle school level since 2009. Basic materials included. 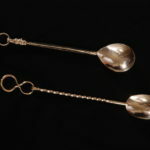 This workshop focuses on the marvels and splendor of gold, a material long treasured among jewelers and patrons alike. 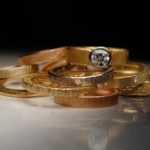 Starting with pure gold you will learn to alloy multiple karats and colors of yellow gold, melt and pour ingots and mill your newly alloyed gold to create sheet, bezel material and wire. Having the gold you want when you need it will free you from the constraints of what you have on hand and save you money in the long-run. 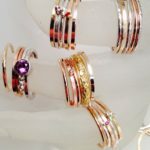 Additionally you will learn fusing and soldering for each type of gold created and to fabricate a simple band with a structural tapered tube bezel for a faceted gemstone that you will learn to set if time permits. This is an intermediate to advance level workshop. Students must have basic metal working skills to attend.